This seems to suggest that Mike Davenport, who sells many a ‘Vette, knows that the mid engine prototype we’ve all been assuming is a Corvette (because what else would it be (no, it’s not a Cadillac)) IS in fact the C8 Corvette. This would not be surprising, as it was reported by several outlets that GM revealed some info about the mid engine C8 Corvette to dealers back in April. 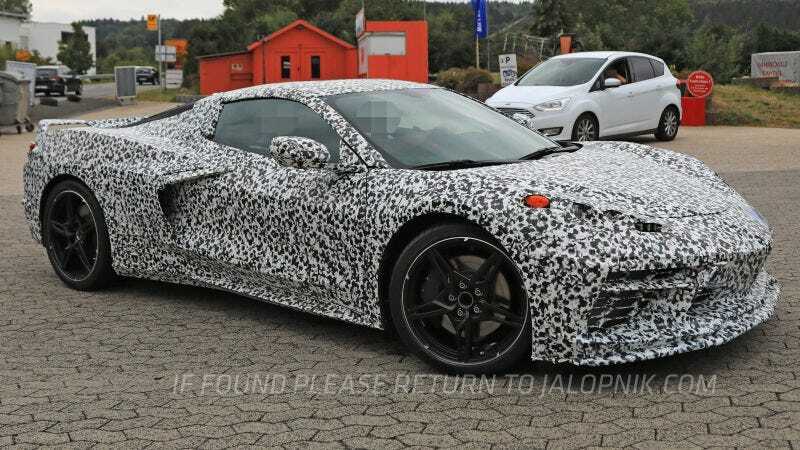 From there, he goes on to say that according to his sources, the C8 Corvette may not be debuting at the North American Auto Show in Detroit, due to some problems he won’t go into due to not wanting to “out” his source, and that it may instead be revealed at the Chicago Auto Show in early/mid February. He then goes on to say that be believes that the base model of the 2020 C8 Corvette may cost $149,995, which is a fiver short of $39,000 more than the base MSRP of the 2019 Corvette ZR1. In my opinion, it’s got some pretty big shoes (performance-wise) to fill to justify such a huge increase in cost over the current Corvette Stingray’s base MSRP. Whether this information turns out to be true or not, we won’t know until GM unveils the C8 Corvette, but I for one am hoping his MSRP estimate is inaccurate, because I think such a vast price increase will cause GM problems... it’s a big leap from the 2019 Corvette Stingray’s base MSRP of $59,950 to a base MSRP of $149,995 for the base model of the 2020 C8 Corvette. One has to wonder if it will still be the go-to “bang for buck” that the Corvette has traditionally been... it sure has to have a huge increase in performance to justify a price increase of over $90,000, in my opinion. Here’s the video in its entirety... the relevant portion starts at the 12:39 mark, in case the video doesn’t start at the right spot. Kinja Admins... Can you PLEASE add a "block user" feature?